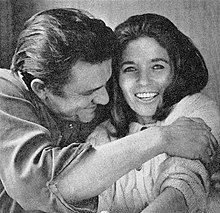 Because you're mine, I walk the line. And then the words just naturally flowed. It was an easy song to write. 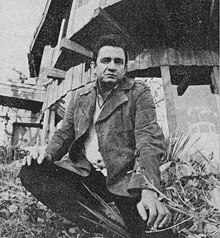 John R. Cash (26 February 1932 – 12 September 2003), born J. R. Cash and most famous as Johnny Cash, was a vastly influential American country music singer, guitarist and songwriter. Livin' in the hopeless, hungry side of town. Opening lines at many of his concerts and public appearances. I have tried drugs and a little of everything else, and there is nothing in the world more soul-satisfying than having the kingdom of God building inside you and growing. 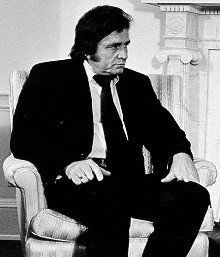 Cash: I went into a coma and I was there for 12 days. They all thought I was dying and they couldn't diagnose what was wrong with me. They finally came up with a diagnosis of Shy-Drager syndrome. It was few months later they realized I didn't have that so it was Parkinson's. And then it was not that. Then finally it was autonomic neuropathy. … And I'm pretty well resolved to the fact that that's what it is. And it's a slow process of the nerve endings. The line "because you're mine, I walk the line." It kept coming to me, you know? But I was — I was … young and not been married too long. Yes, it kept coming to me. Because you're mine, I walk the line. And then the words just naturally flowed. It was an easy song to write. There's always rhythm going in my mind. … I'm either singing them — June will tell you, I'm either singing them, or I have got the beat going from one, or I'm writing one. Leave your guns at home Bill. Walk the Line, a biographical film, starring Joaquin Phoenix as Cash.